Our home is comfortable, clean and spacious. It has a modern kitchen and a large dining/living room. All bedrooms are in the second floor. It's a very old house (built 1906) and you can find many old interesting details which we left when we renovated it. There is a grill in the garden and some nice places to sit and relax outside. We have own apples, grapes and peaches we enjoy in fall. In this house live Adrian a classical musician and Claudia a nurse with the two kids Daria and Aaron (4 and 2 years). We all love to be outside in the nature and enjoy culture in all its aspects. This is the first time we want to do an exchange but we are really looking forward to it since we are planning to get away in summer 2011 for some months. But also we are keen to travel on other dates. 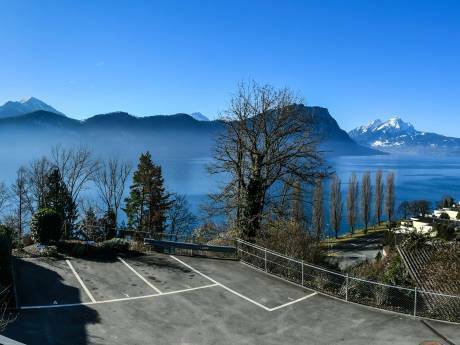 Ideally located as a base for travelling in Switzerland. It's 30 min. to Luzern, Bern or Basel, 40 min. to Zurich. It's a 5minutes walk to the train station (Switzerland has a excellent public transport system) or to the town of Zofingen where you can eat, go shopping or go to the cinema. 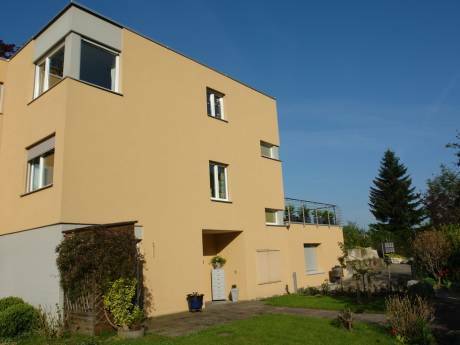 If you want to go for a walk you can start right outside the door and walk towards the "Heiteren" a elevated green site with a great view over Zofingen and the forest. A bit further you can visit the deerpark. The neighbourhood is very quiet and save. If you have children you can use all our equipment for them. 5 minutes walk there are two different children's playgrounds and a public swimming area.